BRUSSELS, Belgium, July 4, 2016 (ENS) – In 25 years there may not be a single elephant remaining in Africa if current rates of killing continue. As the EU member States meet today to discuss their position on whether to ban the ivory trade, a delegation of the African Elephant Coalition, representing 29 African countries, is calling urgently on the European Union and the European Commission to grasp a historic opportunity and follow through on their commitments to ban the ivory trade. In Brussels last week, a delegation of the African Elephant Coalition met with several high level officials of the European Commission and of EU member States to seek support for their five-part package to put an end to the ivory trade and afford elephants the highest protection under international law. The African Elephant Coalition is calling on the EU to extend its commitment toward implementing the African Elephant Action Plan, adopted by all African elephant range states in 2010, by supporting the listing of all African elephants in Appendix I under the Convention on International Trade in Endangered Species, CITES, as a way to enhance the unity of African nations with respect to elephants and elephant conservation. CITES entered into force in 1975, and accords varying degrees of protection and regulation of international trade to more than 35,000 species of animals and plants. Currently 182 countries are Parties to the Convention. The 17th Conference of the Parties to CITES (CoP17) will be held in Johannesburg, South Africa from September 24 to October 5. The Conference meets every three years. The African Elephant Coalition’s package consists of five proposals to (CoP17). One of the proposals seeks to unify all African elephant populations and their range States in one Appendix I listing. Trade in species listed on Appendix I is prohibited. This would provide maximum protection to elephants and end the split-listing by transferring from Appendix II, a less endangered status, the elephant populations of Botswana, Namibia, South Africa and Zimbabwe. The African elephant as a species is not constrained within national borders, nor are national populations. Many are shared with more than one country. 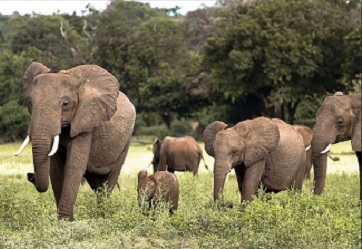 The proposal seeks to unify all African elephant populations and their range States in one Appendix I listing, ending split-listing through the transfer from Appendix II of the populations of Botswana, Namibia, South Africa and Zimbabwe. This proposal calls for closure of all domestic markets for commercial trade in raw and worked ivory. 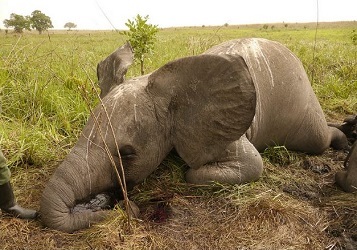 Closing all internal markets in range, transit and end-user consumer countries would reduce opportunities for the laundering of poached ivory, under the guise that it is antique, “pre-Convention” or otherwise legally acquired. It would also reinforce the message that all ivory sales should be stopped, as they are dangerous for elephants. This proposal builds on two earlier papers submitted to the CITES Standing Committee in 2014 and 2016, which led to recognition by the Committee of the destructions of ivory stockpiles by governments since 2011, and a recommendation to develop guidance on stockpile management. It endorses ivory destruction, encourages the highest possible standards of stockpile management, and requests the CITES Secretariat to provide the best available technical guidance on stockpile inventories, audit, management and disposal, including DNA sampling to determine the origin of items in the stockpile. The proposal recommends that the CITES Parties should end negotiations on the Decision-Making Mechanism. In view of the concerted global efforts to reduce demand for ivory, the existence of negotiations on a DMM process to legalize trade sends precisely the wrong message – that a legal and sustainable ivory trade is possible, and could reopen in the not-too-distant future. The DMM not only poses unacceptable risks for elephants, but has also generated valid objections among Parties, as shown by the fact that CITES has been unable to make any progress in negotiations after 9 years. The proposal aims to end the export of African elephants outside their natural range, including export to zoos and other captive facilities overseas. Such exports provide no direct benefit to conservation of elephants in their range States, a fact noted by the IUCN-SSC African Elephant Specialist Group, and there are considerable objections within Africa on ethical and cultural grounds. African elephants, along with their ivory, should remain in Africa. The African Elephant Coalition praised the European Union for adopting the EU Action Plan against Wildlife Trafficking and for urging the 28 EU member states not to issue export or re-export documents for raw ivory from elephants on the basis of EU guidelines. The African Elephant Coalition was established in 2008 in Bamako, Mali. It includes 29 member African countries united by a common goal: “a viable and healthy elephant population free of threats from international ivory trade.” A meeting in Montreux, Switzerland from June 24-26 was the seventh meeting of the Coalition since it was founded. The 29 member countries of the African Elephant Coalition are: Benin, Burkina Faso, Burundi, Cameroon, Central African Republic, Chad, Comoros, Democratic Republic of the Congo, Republic of the Congo, Equatorial Guinea, Eritrea, Ethiopia, Gabon, Ghana, Guinea, Guinea-Bissau, Ivory Coast, Kenya, Liberia, Mali, Mauritania, Niger, Nigeria, Rwanda, Senegal, Sierra Leone, South Sudan, Togo and Uganda. Of the 29 countries represented in the Coalition, 26 of them are African elephant range States. They make up the majority of the 37 countries in which African elephants occur in the wild.